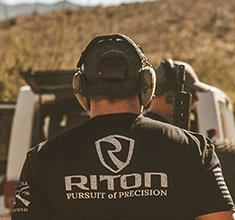 Join the Riton Optics ProStaff Team and become a part of the Riton family. Apply by simply filling out the application form below. What is the Riton Optics ProStaff Team? The Riton Optics ProStaff Team is group of people that have individually applied and been selected to represent the Riton brand all over the United States. They’re shooters, hunters, outdoorsmen and women. They are moms, dads, brothers and sisters. Some are first responders. Some are military and former military. They are writers, authors and hosts of YouTube channels and radio shows. Most of them have full time careers or many work within the industry. 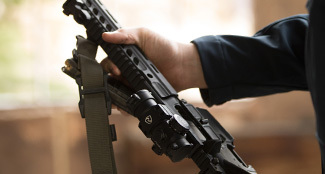 Ultimately, they are people who believe in what we are and what we do at Riton and are willing to support the brand in their venue, whether it be at the range, a local gun store or on their social media platforms. 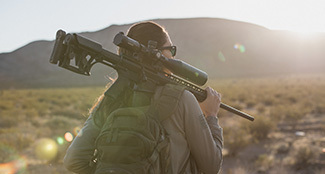 What does a Riton Optics ProStaffer do? Our ProStaffers are an extension of our company, specifically an extension of our marketing team. They are the face of our company to potential dealers, our customers, and to millions of people on television, radio, digital, and social media. What do I receive as a Riton ProStaffer? Riton ProStaffers will be eligible to receive ProPoints based on their activities, which can be redeemed for Riton products. There are also options for other types of compensation and reimbursements. ProStaffers will also be among the first to receive company news and updates, as well as new products and company gear. Please tell us why you want to be a Riton ProStaff Member. Have You Ever Been Convicted of a Crime or Game Violation? As a ProStaff member you will be required to have and maintain certain communication levels and social media accounts so that you may help distribute the Riton message. The following accounts are mandatory for all ProStaff. If you don't have these accounts, set up a new one and begin making connections. You will not be penalized for not having a lot of connections, but we need these programs as a minimum. As part of the application process you will need to submit a video sample to us. For this exercise there is no "right" or "wrong" way of doing this. We are looking for effort and for a chance to get to know you. Here are some ideas for your video: if you have one of our products, you may incorporate it into your video. 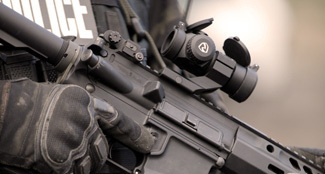 If you do not own a Riton Optic, you can pretend to have one or talk about the company story. We encourage you to go on our website and learn a little about the products. You can talk about a product or about why you would like to be added to the ProStaff team. Again, we are specifically looking for effort here- not perfection. It can be filmed on a cell phone and does not have to be a high-quality video. Send us a video of no less than one minute in length, with a total length of no longer than three minutes and copy the link in the box below or send the video file to prostaff@ritonusa.com (Please be aware that there are size restrictions when emailing a video file). The link can be private so that nobody else can see it except those with the link. Please use this space to tell us anything you think we should know that would help us make our decision. Any additional information such as your website, TV show features, blogs, article links, etc. can all go here. The more compelling reasons you give us, the better your chances! Quality, Value and Service are at the core of everything we do at Riton, and we will work hard everyday to surpass your expectations. View The Riton Promise.